Since the formation of the band in 1969, Uriah Heep (Whose name was taken from a character in Charles Dickens’ 1849 novel “David Copperfield”), London based Uriah Heep have made a name for themselves as 70s rock pioneers, known for their heavy organ sound along the likes of fellow UK hard rock comrades Deep Purple. The band have had quite a few line up changes throughout their time, with the only original member being guitarist Mick Box, and have since ’86 had keyboard player Phil Lanzon gracing us all with his presence. To find out more about this iconic band and his history with it, we met up with Phil before the bands hometown show a few weeks back for a quick chat. Let’s start a bit in the beginning, where did it all start? What got you into music and playing at the first place? Phil: At the age of 9 I was forced to play the piano. At the first lesson, of the first day, I also had a dental appointment, and I said to my mum: I’d rather just go to the dentist. But of course I regret saying that, it worked out alright! From there, I ended up playing and joining bands as a teenager, in and out of various ones as kids do when they’re teenagers. I remember learning all the pop songs and playing along to them. Time went by, and I got more involved in classical music and composing, orchestrating and all that. I joined another band I the 80’s, Grand Prix – I’m really speeding along here – I then joined The Sweet for a bit and went on tour in Australia. After that, mid eighties, I joined Heep, and I’ve been here ever since. How did that come about, joining Uriah Heep? 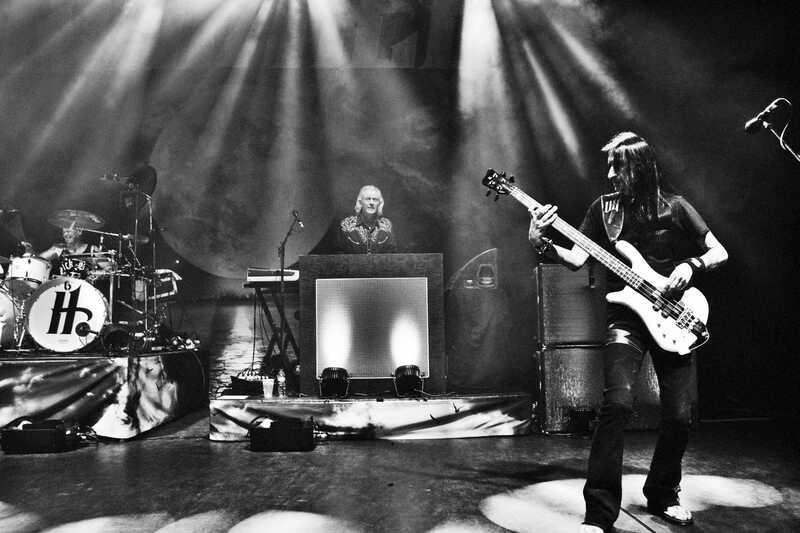 Phil: Their sound engineer at the time, had previously worked with my band Grand Prix and he joined Heep while I was still dabbling with the other band. It came out in the mid 80s that the line up of Uriah Heep was breaking up and he mentioned to them knowing some of the guys from Grand Prix which was also going belly up, and suggested to give us a call, and that’s how the initial connection was made. You’ve been in the band since the mid eighties now, how has it been bringing this music to a new generation? Phil: That’s a good question. It started maybe 10-12 years ago when we were playing some festivals in the summer, as we always do, and we started noticing a lot more younger people were turning up to our shows. 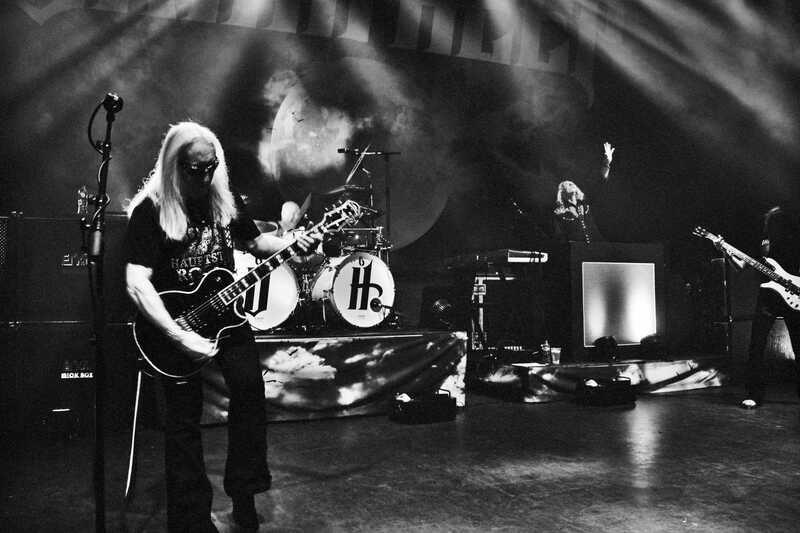 Of course, the older and original Uriah Heep fans grew up, had kids and played them our music, which is common thing with a lot of these older bands, and it’s just incredible! Sometimes we’ll have three generations of fans at our shows and festivals, the old geezers, their children and their children, it’s pretty amazing, fascinating to watch. For a band such as yourself who pioneered within your genre in the 70s with the organ being such a big part of your sound, how have you found it bringing your music forward as it has evolved in the 80s, 90s and 2000s – manage to go forward and change with the times, as well as keeping true to the bands original sound? Phil: When we write a new album, we will always use the blueprint of Uriah Heep and take that as a starting point for writing new stuff. Not for it to be the same as, but to use the influence and feeling of it, so it doesn’t venture too far away from it. That sound is what people like and why they come to see us, and if we then go off on a tangent too far, we will alienate a lot of people. It would be a bit risky for us when we’ve been around doing what we do, for so long. I think if you’re a newer band, you can go in any direction you fancy and it might work and you’ll find your niche that way. However, I think it could be more harmful for a band such as ourselves if we all of a sudden decided “Let’s play jazz!”, you know? You’ve been doing this for quite some time now and you don’t seem to be slowing down any time soon? Phil:We recorded in January before we went on a 10 week tour in America, came back and played festivals, released our album in September, then 8 weeks now in Europe, Scandinavia and the UK. I also released my solo album earlier this year which took up a lot of time, plus somehow managed to find time to start writing my second one. You just find these little slots where you manage to get things done. In the new year I’m straight back into a five week tour, then Japan in March before festival season is a reality again. So, the piano lessons paid off? Words and photography by Ella Stormark.